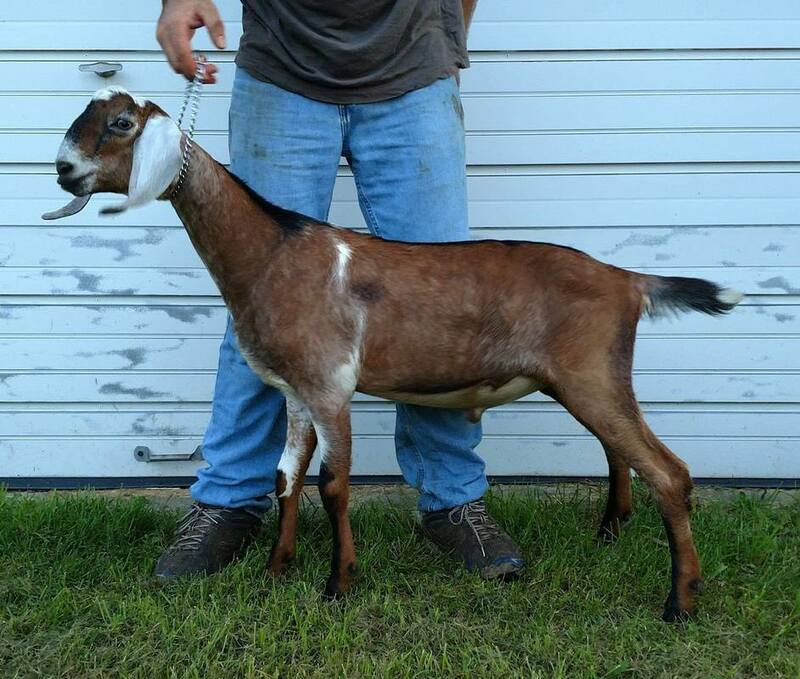 Solomon is an outstanding buckling out of some of our best genetics! His dam, Song, has been a standout since day one, and has already made quite a list of accomplishments for herself, despite being only three years old! 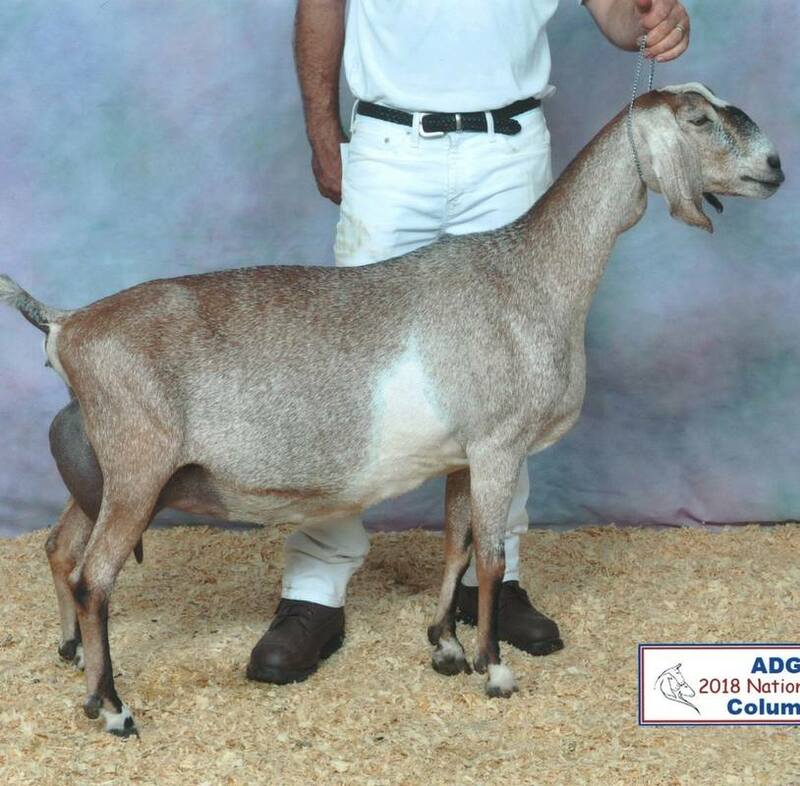 She has been named All-American three times, stood in the champion lineup at nationals, part of the 7th place dam and daughter at nationals, and been multiple times GCH, RGCH, and BOB. She is a hardworking doe who is just maturing beautifully and filling out more each year. 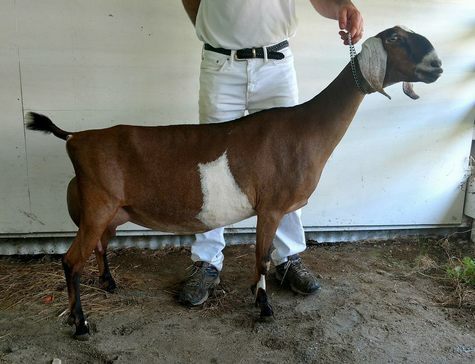 Solomon's sire, Cronus has not disappointed either, having daughters as milking yearlings with beautiful mammary systems, excellent general appearance, and overall animals we are so anxious to watch grow up! Solomon has been kept and used in our own herd this fall, but cannot be used extensively due to being too related. For this reason alone, he is being offered for sale.